Beautiful turquoise blue men's style T shirt, rick in cotton material and soft features Flight Club Foundation's commemorative artwork of Tony Sanchez. Look closely! 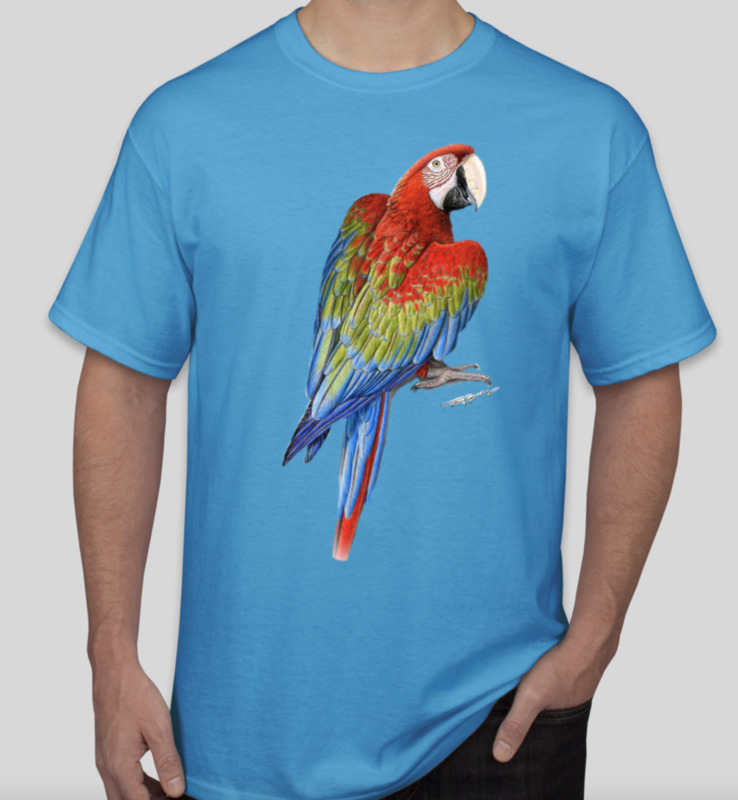 It looks like that greenwing macaw is hanging on to your shirt! 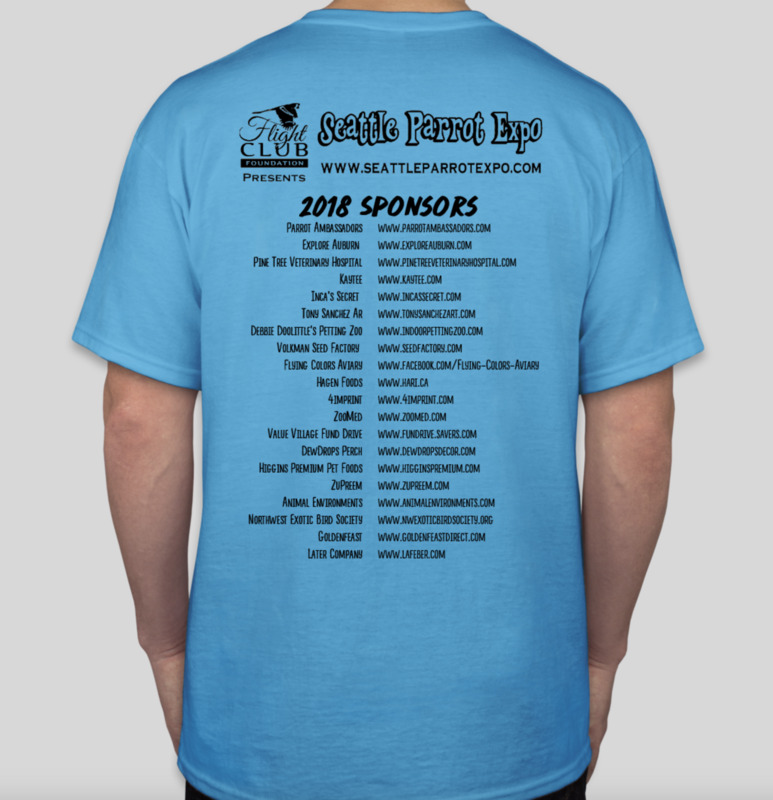 The back Features all of the sponsors that help Seattle Parrot Expo be possible.